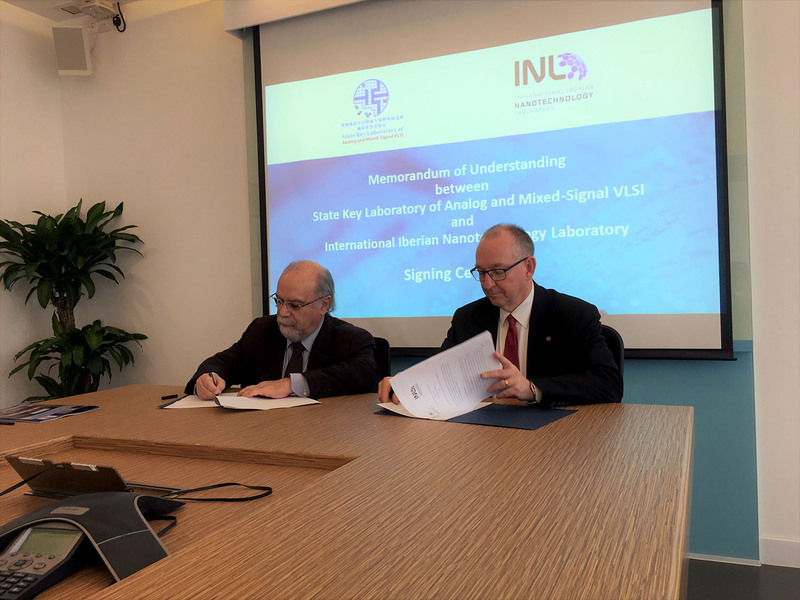 INL – International Iberian Nanotechnology Laboratory signed this Monday, 5th of March, a Memorandum of Understanding (MoU) at Macau University with the internationally top-rated State Key Laboratory of Analog and Mixed-Signal. According to INL General Director, Professor Lars Montelius, “this collaboration will strengthen INL offer since the State Key Lab knowledge and research is complimentary to INL. This collaboration will enable us to introduce a new level of signal processing for sensors, within the Internet of Things, and biomedical devices, to name a few”. The present agreement follows another MoU celebrated in Hong Kong last Friday, 2nd of March, with ASTRI – Applied Science and Technology Research Institute, for the creation of a joint Innovation Laboratory. These initiatives aim to strengthen INL presence in the Asian continent, opening doors to scientific cooperation and new business opportunities to INL clients.